It wouldn’t be an overstatement to call Abbas Ali Khan a musical genius. 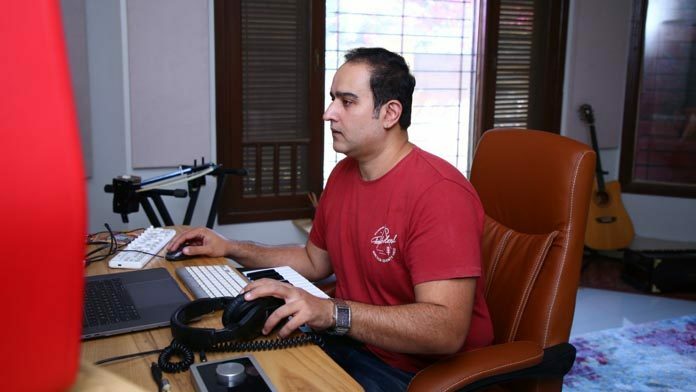 With an array of projects pertaining to film scores and commercials, along with a striking solo career, the singer and music producer has dipped his toes into almost every popular composition that you come across. 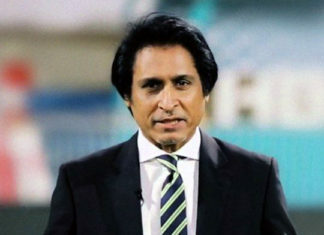 Although Khan chooses to work behind the scenes mostly, most of you may remember him from the hit song Sunn Ray, featuring Tariq Amin in a never-seen-before avatar, and with the impression that the singer was somebody foreign. Indubitably, the video was way ahead of time, and marks Khan’s claim to fame. “Sunn Ray’s video received a lot of extreme comments, ranging from both love and hate. Since Tariq had a strong character, he suggested to balance his look with mine so that we complement each other, instead of overshadowing. So, that’s why he made me all pimped up and like a gangster. The extreme reaction benefited me in the way that the video was publicised a lot. It must’ve seemed like I’m a foreigner, because my look gave off that impression,” he said. 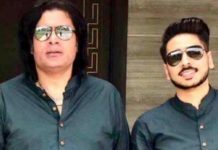 The singer also explained how being classically trained helped him with the song, being a disciple of Ustad Fateh Ali Khan. “I started taking training before Sun Re. The song is basically a lyrical piece of a Bhopali song, which my mentor recommended me and I fuse my own touch to it,” he said. In fact, Sunn Ray wasn’t the singer’s first contribution to the music biz. 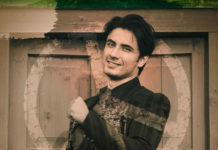 Khan made a special album for the drama serial Humsafar, which could not get proper recognition due to lack of promotion. Speaking of classical training, Khan does not feel it is a prerequisite for a song to be successful. “A song becomes a hit because of luck, or by doing the right thing at the right time. In such a case, I always give the example of Atif Aslam. When Aadat came out, Atif had not received any classical training. It was his voice, and his song that made it successful,” he said. “However, if you study classical music, your canvas expands a lot and you get to experience so much more. It has benefited me a lot, in terms of making jingles, film scores, documentary music, anything there is. I have so many tools to play with,” he added. Undeniably, the music business tends to change the true essence of an artist when they get their share of fame, but we haven’t seen Khan straying towards the norm like other artists do. “As a singer, when you make music your ultimate bread and butter, you have to compromise on a lot of things. I don’t think that’s wrong,” he said, while mentioning how artists extort popular occasions and make money off of it. “I did not plan on following this cycle, I wanted to create stuff whenever I wanted to. 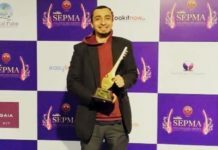 The release of my Sufi album [Tamaam Alam Mast] wasn’t because everyone was doing Sufi music. A lot of research and personal evolution went into it. I just follow my inner voice, and never think about following the norms. It can also be a drawback for me, because I tend to disappear for a while,” he added. Moving on, Khan also revealed how big of a fan he is of Vital Signs, and has also studied their music. Due to which he understands Rohail Hyatt’s thought process that goes in the production of Coke Studio. “As far as I’ve studied his music, Rohail likes to work in spaces. He creates music space, and get you in trance. And that’s how it goes for a while. Strings, on the other hand, are more ballad-based, with different instrumental pieces coming together. I like Strings and Rohail’s Coke Studio equally, because I feel as a musician the sound is very diverse,” he said. 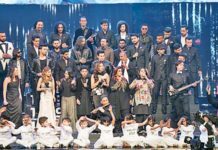 He further mentioned Ali Hamza and Zohaib Kazi’s attempt at Coke Studio’s production, saying how it is understandable that they wanted to change the sound, but not everything works. “Experiments don’t always turn out fruitful. Nobody wants to create bad music; every musician gives it their all. It sometimes works, and sometimes doesn’t. Now that Rohail is coming back, I feel he has the biggest responsibility with where the studio is standing. But I have my full trust in him,” he said. After getting the lowdown on how Khan’s musical journey, we wanted to know a little bit about his personal preferences. Starting off with the basics, which is whether he prefers singing or composing music. “As a singer, I cannot change my sound that swiftly. I enjoy production because I work on so many diverse projects, it fulfils my need to work on various genres. Both are equally enjoyable for me,” he said. In relation to diverse projects, Khan has associated himself with a number of film scores, and not enough OSTs. And we’ve got the reason why. “Composers feel [a film score] gives off a certain high and contentment, as we receive a bare-naked film with dialogues only and with incorporate each and every note corresponding to the scenes, which in turn gives us a sense of power, as is addictive in nature,” he said. However, the is no specific reason behind limited OSTs. “I want to do OSTs of interesting dramas. I did the OST for Bandish recently. Interestingly, Fahad Mustafa called me and explained how he was doing a horror drama serial. He said he wants me to do something which incorporates my [song] Malaal, especially the chorus, and I suggested we make a song around it. It was an interesting project, and I really love the drama as well. Besides that, I did one for a HUM TV drama Kuch Na Kaho, and would love to do more,” he said. 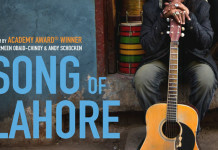 So, what inspires the singer to come up with such a vast range of musical projects? “I get inspired by moments, weather, smell, these kinds of things. Musically, 80s music inspires me a lot, and you can certain elements form this era in my music somewhere or the other,” he revealed, which also provides the basis for his upcoming musical projects. “Currently, I am doing a lot of commercials, a film is lined up for scoring. And a song as well, the title of which I can’t disclose. Besides that, there is a documentary. Plus, my own music. I am exploring a lot of synth-based music. 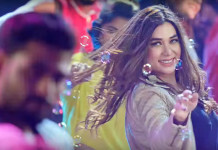 It will be unique, the start of which has been done by my song Jala Sitara, which has an electronic feel to it,” he added. Speaking a little about his personal life, the singer revealed how he is a very private person. “I don’t enjoy excessive socialising for the sake of socialising. If there’s an event related to my field, award shows or fashion-related, then you might find me there. 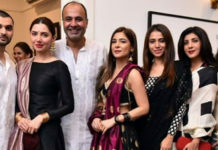 However, parties are not my cup of tea,” he said, while adding how his place in Karachi is a lovely space for a cup of coffee. Being musician in today’s era, Khan isn’t fazed by the transition of music from TV to digital platforms. “I don’t think it should be a source of worry, we should learn how to flow in this dynamic shift. All the new platforms like social media, YouTube, Facebook, Instagram, Snapchat, we should all use them to our advantage. And obviously, music channels are out of the scene because people don’t want to wait to watch a music video, they would rather head over to YouTube and watch it there. I think we should embrace this dynamic shift rather than getting scared of it,” he said. And while this era has made things a lot easier, the singer feels they are just as difficult, with growing competition and clutter. “A lot of content is being released in a short span of time, thanks to digital media. And you don’t know what to see and what not to see. For the sake of being viral, people have started incorporating several visual tools. I think we need to take a breather and think about what we need to do. Anyone who is true to himself or his music, will go a long way,” he said. Now that we know that Khan’s creative vision knows no bounds, there is somebody he would like to thank for introducing him to the field. 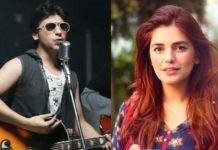 “Asad ul Haq introduced me to the field of making music for advertisements, with a commercial for Telenor. I am really thankful, and a big fan of Asad. 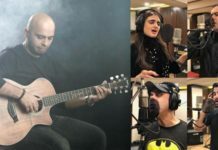 I always love working with him,” he said, with a special mention of his YouTube channel, which has all of his musical ventures assembled in one place. Next article3 times Juggun Kazim’s Dressing Sense Made Us Go Wow!